Hotkeys can speed up productivity quite a bit, regardless of where they are used. I like to work with hotkeys to speed up processes that would otherwise take longer to complete. If I want to take a screenshot of a window for instance, I press Alt-Print when the window is active, instead of having to press print and edit the screenshot, or using a screenshot taking program for the job. HotKeyMan is a lightweight hotkeys manager for Windows. The program comes with a pre-configured set of hotkeys that are ready to use, and options to configure additional hotkeys. New hotkeys are defined in the program's settings. First, a keyboard combination needs to be selected. 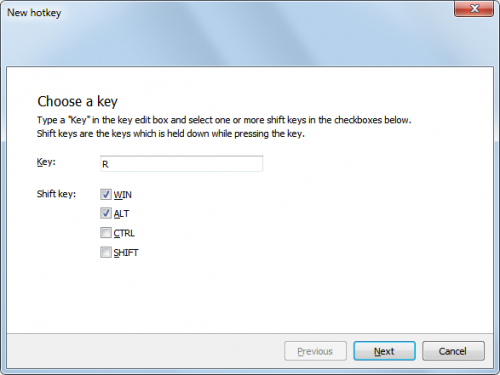 Available are a key on the keyboard in combination with the Windows, Alt, Ctrl or Shift keys. Probably most interesting in this regard are the actions to open a file or website, and to send keystrokes. 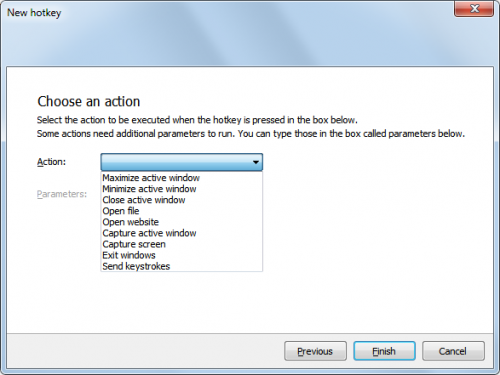 It is for instance possible to map the five most used programs and websites to hotkeys to open them as fast as possible. The ability to send keystrokes to the active program is not as advanced as that of specialized macro recorders. Still, it serves a few purposes from configuring signatures to text that is often needed. HotKeyMan uses less than 10 Megabytes of RAM when running on the system, an acceptable figure. The program is available for download at the developer website. It has been tested on a 64-bit edition of Windows 7, and should run fine on other editions and versions of the operating system. Martin, please add link to developer’s site. I want to try HotKeyMan. I think it is must have application. Pretty cool program! Thanks Ghacks/ Martin for letting us know about this item.Works real good and real easy to set up….